Successfully Added Android 4G Phablet - Android 5.1, 9.6 Inch IPS Screen, MTK6592 Octa Core CPU, OTG, Bluetooth 4.0, Dual SIM to your Shopping Cart. Stay entertained and connected with the Android 4G phablet, coming with two SIM card slots, MTK6592 Octa Core CPU, OTG, Bluetooth 4.0 and more. The 4G Android phablet comes with a 9.6 inch screen with 2560x1600 resolution and will offer you a high quality viewing experience for all your movies, videos, games and more. With Android 5.1, you will also have a friendly interface right at your fingertips and access to the Play Store for all the latest apps and games. The phablet comes with great connectivity and supports a wide range of networks: 2G (GSM 900/1800/1900MHz), 3G (WCDMA 850/1900/2100MHz) and 4G (TD-SCDMA/TDD B34/B39/B40/B41). Moreover, you will be able to use the phablet with two SIM cards simultaneously – have two different numbers and user accounts. The phablet is backed up by the MTK6592 Octa Core CPU and will easily handle all your multitasking needs. It also features Bluetooth 4.0 and will efficiently communicate with other Bluetooth devices – so, feel free to hook it up to your external speakers, wireless headsets and more. With 16GB of internal memory, you will have enough storage for selected media and apps – and you expand that further with an SD card (up to 32GB). This phablet comes with a 4500mAh battery offering up to 3 hours of continuous talk time and 60 hours on standby. You get a front camera for video calling and a rear 5MP camera for snapping off quick pictures when on the go so this fully equipped phablet can replace your phone brining large screen portable entertainment with you wherever you go. The Android 4G Phablet comes with a 12 months warranty, brought to you by the leader in electronic devices as well as wholesale Android Tablets..
Livré en 3 jours. Que vouloir de plus? 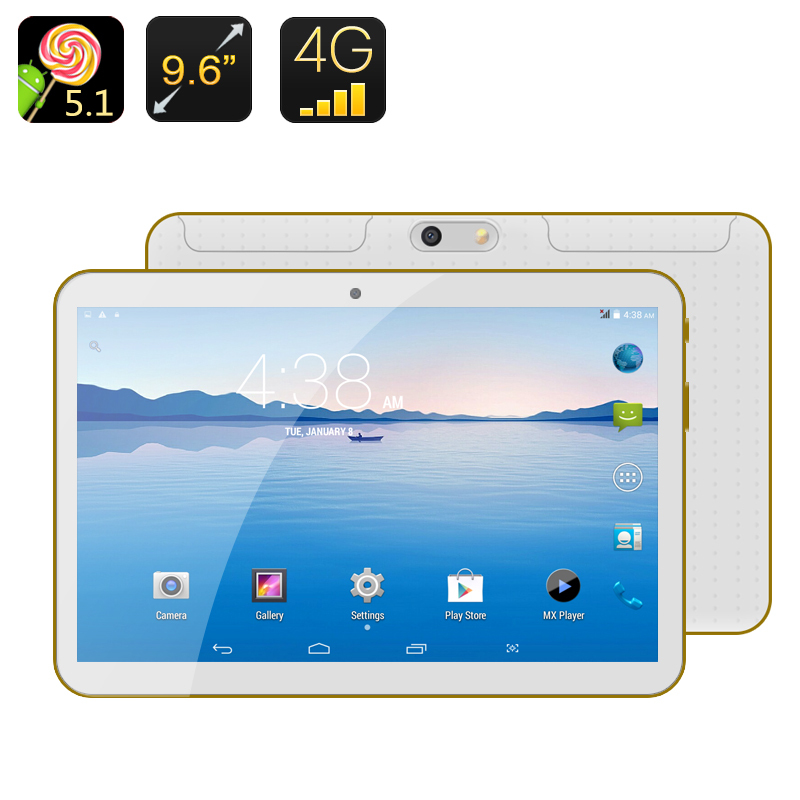 Very good android 4G phablet.Easy of set up, performance is very good.